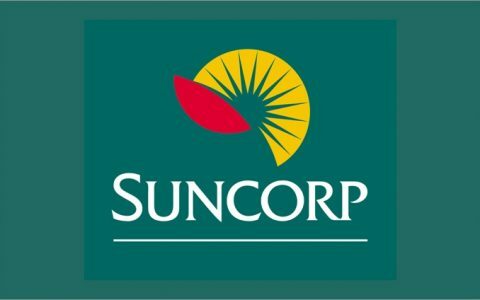 Suncorp Life is one of five operating divisions in the Suncorp-Metway Group; a Top 25 ASX listed company with over $95 billion in assets, 16,000 employees and relationships with over nine million customers. Suncorp’s position as a top tier financial services organisation was cemented with the $7.9 billion acquisition of the Promina Group in 2007. Mr. Geoff Summerhayes assumed the role of CEO of Suncorp Life just as the GFC took hold. The GFC provided a very difficult backdrop for an already challenging situation. On top of a large scale integration agenda aiming to assimilate the Promina financial services business into Suncorp Life, Geoff had to address a number of performance issues. Revenue and profit growth had stalled, and there was an underlying volatility of earnings. The market had devalued the life division. The business had a product focus rather than on its considerable customer asset. Employee engagement scores were lower than the rest of the Suncorp Group, there was a duplication of functions and activities across vertical product silos, and there were two distinct operating cultures. Our initial engagement established a baseline for the transformation effort and identified the key levers to dramatically increase alignment to Suncorp Life’s ambitions. At the time, we supported the business in maintaining focus on the critical initiatives to stabilise and rebase the business. Having successfully stabilised and restored the business, we worked with Geoff to enable a growth strategy re-positioning the business as a life insurance specialist. We partnered with the executive team to drive increasing accountability through personal scorecards and by establishing a robust governance framework. This laid the foundation to reduce unnecessary bureaucracy and provided a positive return on leadership time. We also supported the business in developing and evolving the Suncorp Life story for both external and internal audiences. This work has been underpinned by a strong focus on shifting the impact of Suncorp Life’s top 40 leaders towards the constructive norms required for business growth. Three years after our partnership commenced, The Australian Financial Review published an article describing the Life business as ‘the jewel in the crown’ of Suncorp Group, a remarkable change in perception from the previous year. Suncorp Life nearly doubled the previous year’s profit and exceeded market expectations with a net operating profit in excess of $220 million. Recent Leadership Impact™ remeasures for the top 40 leaders have revealed significant positive shifts across the board. The increased strategic focus and improvements in leadership and culture have had a very positive impact on staff commitment to the organisation with a 15% reduction in staff turnover and steady improvements in staff engagement. The shift Suncorp Life has made over the past few years has been externally recognised by the market and customers. Suncorp Life was recently awarded Core Data Life Company of the Year for the second year running, an award voted on by more than 800 financial advisers across the country.